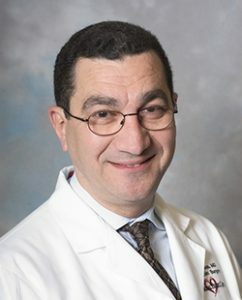 Dr. Gabriel Aldea's research explores methods and techniques for improving outcomes and quality care in cardiac surgery. Specific research goals include limiting morbidity of cardiopulmonary bypass (CPB), cell salvage, and transfusion; and developing alternative therapies for complex aortic and valvular pathologies that do not require CPB. 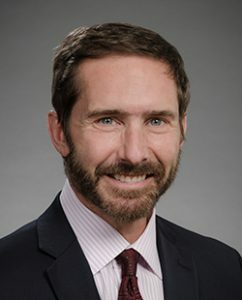 Dr. Michael McMullan served as President of the Extracorporeal Life Support Organization from 2016-2018 and remains active in the organization. 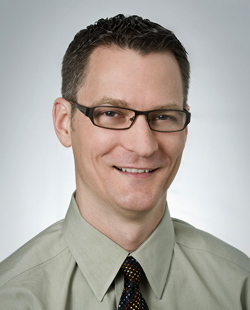 His research interests include the use of extracorporeal life support in unique patient groups, program organization and management, and ECLS education. His laboratory has developed a number of novel simulation systems that have been adopted by international medical systems. Hwang B, Liles WC, Waworuntu R, Mulligan MS. Pretreatment with bone marrow derived mesenchymal stromal cell-conditioned media confers pulmonary ischemic tolerance. J Thorac Cardiovasc Surg, 151(3):841-9, 2016. Merry HE, Wolf PS, FitzSullivan E, Keech JC, Mulligan MS. Lipopolysaccharide preconditioning is protective in lung ischemia reperfusion injury. J Heart Lung Transplant, 29(4):471-8, 2010. Naidu B, Krishnadasan B, Thomas B, Fraga C, Verrier E, Mulligan MS. Early tumor necrosis factor- release from the pulmonary macrophage in lung ischemia-reperfusion injury. J Thoracic and Cardiovasc Surg, 127(5):1502-8, 2004. Mulligan MS, Paulson JC, DeFrees S, Zheng AL, Lowe JB, Ward PA. Protective effects of oligosaccharides in P-selectin-dependent lung injury. Nature, 364:149-151, 1993. Mulligan MS, Varani J, Dame MK, Lane CL, Smith CW, Anderson DC, Ward PA. Role of ELAM-1 in neutrophil-mediated lung injury in rats. J Clin Invest, 88:1396-1406, 1991.